Jerry Ferguson and The Castle are 86 years old. She sees herself as the caretaker, the curator, of the great work of art in which she’s lived for almost half a century. In fact, she sees her “Jacobethan-Revival”-styled mansion, though it is certainly her home, as still the house of Leon Cheek. Joann Purdie helps her mother unroll about 20 sheets of full-sized arms-length blueprints at the head of the antique French table in the spacious dining room. Behind us, diamond-paned windows in lovely dark casements emit sunlight. 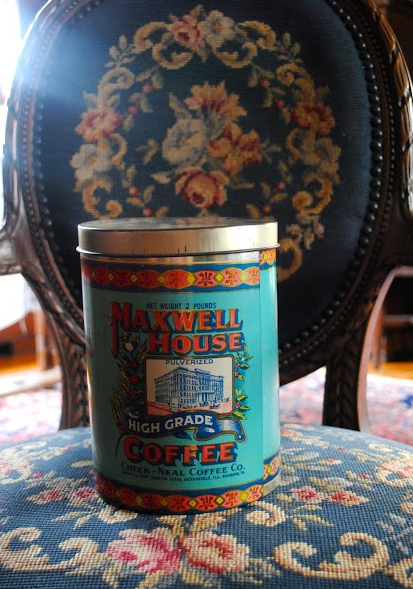 The building of Cheek-Neal Coffee Co., which later became Maxwell House, was the lifework of Joel Cheek, who founded the company in 1892. The Castle was the lifework of Joel’s son Leon, whose family’s sale of the company for $40 million in 1928 enabled Leon Cheek to hire architect Roy Benjamin, who also designed the Florida Theatre. between depth. Benjamin designed the great room with the true height of a cathedral ceiling. Cheek had the house built for just more than $100,000. Jerry shows us the receipts and the correspondence between architect and workers. Forty years later, the Cheek Estate offered the house for close to that same price. The Riverside Avondale neighborhood surrounding the house was in steep decline. The Fergusons bought the Castle for $65,000. When you stand at the front door, you immediately notice the great concrete depths in which the entrance recedes. Though interior walls are concrete two feet thick, the receding doorway indicates an external wall nearly double that. The house is built on 177 copper-capped concrete pilings. Though recently increased salinity in the St. Johns River has forced salt into the soil of the most riverward of Riverside Avondale, killing oaks and cedars, and though Jerry recently had the diamond-paned windows repaired and the chimneys repointed, the house itself, the Castle, will be here in a thousand years. At least. It was built to survive anything—even time. Jerry says she’s given the house the kind of life Leon Cheek wanted for it, but wasn’t able to give it himself. Shortly after the house was built in 1928, the Great Depression began and didn’t end until World War Two, during which time coal embargoes kept Cheek from adequately heating the house. After the war, his wife became ill, and he followed her illness with a long illness of his own. But Jerry says Cheek didn’t want to keep this house to himself and his family, away from the community, as might be the case with many such grand houses, but to share it. She calls it his “open door policy,” which she’s tried to enact over the years by inviting people like me, my friend Hurley, my sister Wanda, and my daughter Veda inside, and by hosting tea parties for years for Riverside school children whose price of admission was having learned a poem. The children would sit at the long dining room table, 20 students at a time per tea party. They would recite their poems by the fireplace. A “king” would “knight” them with a sword. Jerry’s deceased husband, the physician Emmet Ferguson, once published a book of the poems he’d been required to memorize in school. Wanda has visited this house once before. She wasn’t yet 10 years old. She’s surprised when I tell her the house has only been on the market once. Jerry and Emmet Ferguson bought the house in 1968, two years after Leon Cheek’s death. Wanda came with her sisters and their mother, our mother (I came later from a second marriage), and a realtor showed them the house, from the basement up to the second floor, though the three-and-a-half story tower wasn’t entirely accessible. Wanda remembers the elevator, fronted with black accordion grating. She remembers large and expensive furniture squeezed to the center of a great room, all walled off by red velvet roping. Mom had grown up not quite poor, then moved to Fairfax Manor between wealthy Avondale and old-money Ortega when she was 12. But Mom’s mom grew up wealthy on a plantation called The Oaks in Sanford, Florida. Even when she lived in that little yellow house on Randolph Street, our grandmother presented herself with “class,” easily shocked, prim and in need of defense, asking 7 year-old me to preach to her as she sat on her antique yellow sofa with her pocketbook and her Bible. The realtor told Mom and my sisters the basement was reserved for servants’ quarters and that children who misbehaved could be sent down below to the basement-as-dungeon. Buzzers placed under the carpets throughout the Castle, which Jerry confirms, could instantly call servants up from the depths. Though Wanda remembers the basement floor being dirt, Jerry says that wasn’t the case. What Wanda remembers was probably the unsalvaged residue of Hurricane Dora from the St. Johns River in 1964. No one knows for sure where that cordoned furniture she remembers has gone—maybe to nearby homes, some to the Cummer Gallery of Contemporary Art to insinuate the settings of the Cummer family in their own mansion long vanished. Within a year of their buying the house, Emmet and Jerry hosted an extemporaneous dinner for Florida Governor Claude Kirk and his entourage. The Fergusons were occasional guests of the Carters at the White House, and President Jimmy Carter and First Lady Rosalynn stayed at the Cheek Castle before, during, and after his presidency. Yet they had bought this grandest Old Jacksonville house for (relatively) dirt-cheap because Riverside was in steep decline. With the wealthy old families of Riverside Avondale fleeing this old denser suburb now become inner city, Riverside’s once-great mansions, including those in the several square blocks of St. Johns Quarter, all about the Castle, near Five Points and Memorial Park, attracted hippies, the angry drunken children of the city’s working classes, fans of the city’s burgeoning Southern Rock scene, and all those sad young transients who never knew where they were but didn’t know it. The interregnum between Cheek and Ferguson spanned, ironically, the most literal “open door policy” in the great house’s history. 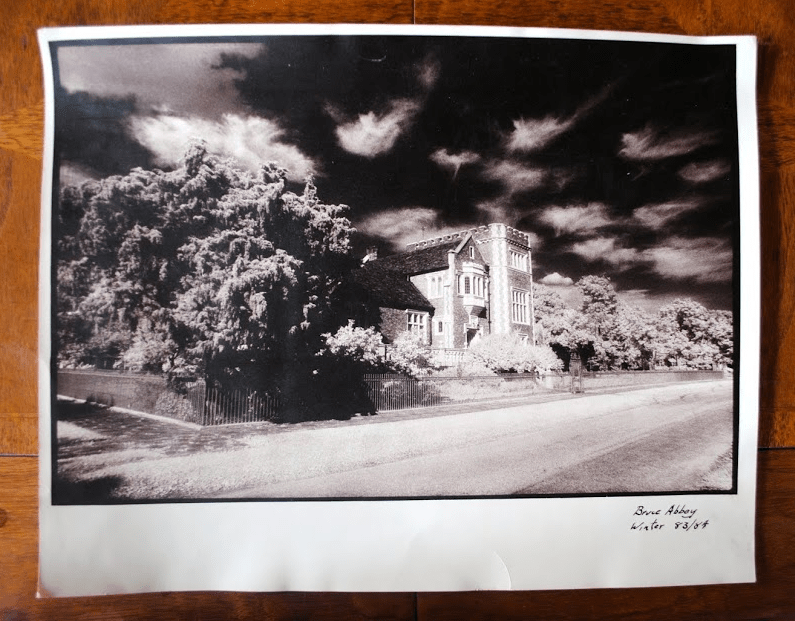 Shortly after eight year-old Wanda’s tour of the house, kids and young adults and drunks and transients came to know it as the Abandoned Castle. The police drove by every weekend, 1966, 1967, and made routine arrests. Strangers lit bonfires in the rooms. They swung from the chandeliers. They got high and got naked and got together. They broke the elevator lock, so the Cheek family hired a night watchman, worried that someone would fall down the elevator shaft and sue them. The first time Joann ever set foot in the Castle was when her parents had just bought it. Windows were busted out, and the floors were besmirched with thick spills of syrup and countless broken light bulbs. Jerry sees those few years as an interruption. Leon Cheek lost money in the Depression. During World War Two, he hung great curtains against the dining room entrance to cut fueling costs by staying in this room. Then came the decades of sickness. We are all only in between. All Cheek did was build this Castle. But the Fergusons preserved it. And so might the next millennium of occupants. All of us will have been equally here. But some of us will have discovered how to leave a legacy. And others of us will take great care, and our legacy will be that love.